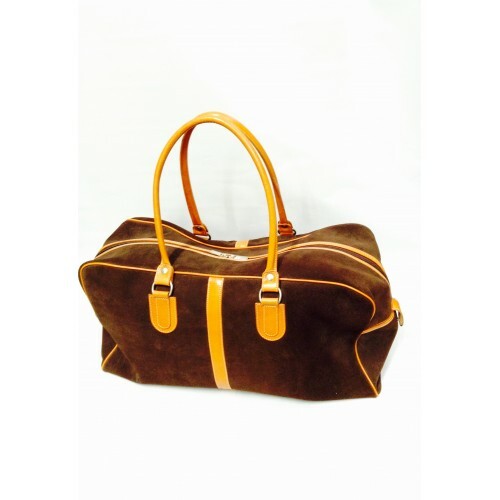 Tan and Brown Suede Weekend Bag. Suitable as a overnight, gear or a weekend bag. This is a versatile bag that can be used as an every day accessory whilst having a stylish appearance.